Life gets difficult when you don’t have full confidence in your smile. You rely on a healthy set of teeth to help you make a good first impression, to carry on a conversation with a close friend, and to fully enjoy your favorite meal. For all these reasons and more, it’s important to know all your options when determining how to best go about replacing lost teeth. Considering investing in dentures or dental implants in West Palm Beach? Here’s what your local dentist needs you to know. Traditional dentures are a removable appliance made to conform to your specific mouth structure. Dentures are designed to fit your mouth shape in order to prevent shifting and slippage, however, some denture movement and loosening is unavoidable, particularly because gum tissue does tend to recede over time. Additionally, a traditional denture is a removable prosthesis that you are required to maintain through frequent cleaning outside of your mouth. On the other hand, implant-retained dentures are a prosthesis that, on top of being fitted to the unique contours of your mouth, are supported by a set of (you guessed it!) dental implants that integrate with the jaw bone. Unlike conventional dentures, implant-retained dentures come in two varieties – removable or fixed (permanent). 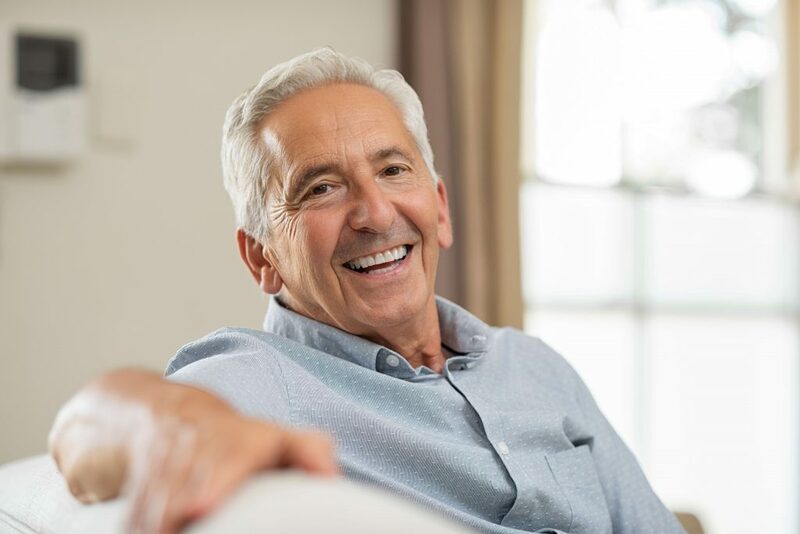 While many prefer conventional dentures because of their perceived convenience and affordability, implant-retained dentures provide several distinct advantages that make them worth seriously considering. Due to the fact that implant-retained dentures allow the prosthesis to integrate directly with the jaw bone they provide several unique benefits that give them a clear edge over traditional dentures. Unlike conventional dentures, which will invariably slip and shift over time, implant-retained dentures are secure and unmoving. Implant-retained dentures allow for easier chewing of food – which not only serves to make meals more enjoyable, but aids in nutrition and digestion. Because they’re integrated directly with the jawbone, implant-retained dentures help to improve jaw bone density over time. Patients that select implant-retained dentures over conventional dentures often save a great deal of money over time because they are spared from all the follow up dentist appointments brought on by ill-fitting dentures. As traditional dentures shift and slip they will gradually irritate the gums and often lead to unpleasant sores – this is not an issue with implant-retained dentures. When deciding how to renew a smile in trouble there are several perfectly valid options to consider. That being said, because of the many significant advantages associated with implant-retained dentures, your West Palm Beach dentist can’t recommend them highly enough. No matter a person’s age or dental health history, they deserve the sense of vitality and confidence that comes with having a healthy, fully-functional smile! Dr. Mihran Asinmaz considers it an honor and a privilege to spend his days fulfilling his passion to serve his patients. He follows the Golden Rule in every procedure, treating others as he would want to be treated, and prioritizes staying educated on the latest advancements in dentistry. Call 561-660-9056 to learn more about the difference Dr. Asinmaz’s passion can have on your dental experience.